CINCINNATI, OH— January 29, 2019—Brian Wright is returning to Faruki+ after serving for three years as General Counsel and Vice President of Innovation for Henny Penny Corporation. In addition to working with other Faruki+ clients, Wright will continue to represent Henny Penny, as outside general counsel. Wright will be based primarily in Faruki+’s Cincinnati office. Prior to joining Henny Penny in 2016, Wright spent more than 13 years with Faruki+, eventually leading the Cincinnati office. During his tenure with the firm, Wright's litigation practice included advertising, consumer class action defense, and commercial/products liability. His cases involved federal multi-district litigation and technology-related litigation. He has represented publicly traded companies, privately-held companies, and individual clients in complex business disputes in both federal and state courts, and alternative dispute resolution proceedings throughout the United States. "Brian has been a valuable member of the Henny Penny leadership team and we will miss his daily presence in the office," said Rob Connelly, President and CEO of Henny Penny. "We are thrilled he will continue serving as Henny Penny's General Counsel providing us with excellent legal and business advice. We wish him the very best and support his decision to follow his passion of practicing law." Wright holds a J.D. from the Case Western Reserve University School of Law (Cleveland, Ohio) and a Bachelor of Arts in Political Science from Baldwin Wallace University (Berea, Ohio). In addition to being a graduate of Leadership Dayton and Cincinnati Academy of Leadership for Lawyers, he was selected as an Ohio Rising Star by the Law & Politics Magazine every year from 2006-2016 and a Future Star by Benchmark Litigation in 2015 and 2016. He was chosen as one of the top 40 professionals under the age of 40 in the Miami Valley in 2007 by the Dayton Business Journal. He is AV-Preeminent rated by Martindale-Hubbell, the highest possible rating. To learn more about Wright or Faruki+, contact John Kendall at (937) 227‑3723. Faruki+ (www.ficlaw.com) is a litigation firm with offices in Dayton and Cincinnati that handles complex disputes, including intellectual property, class actions, competition-based litigation, employment, antitrust, privacy, commercial litigation, arbitration and white-collar litigation. 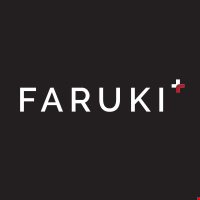 You can find Faruki+ on LinkedIn and Twitter at @FarukiMediaLaw. Also, visit https://www.ficlaw.com/blog/ the business litigation blog site, for the latest developments in business litigation, intellectual property, data security, and advertising and media. You can also follow Faruki+ on LinkedIn at https://www.linkedin.com/company/faruki-ireland-&-cox-p-l-l-/.